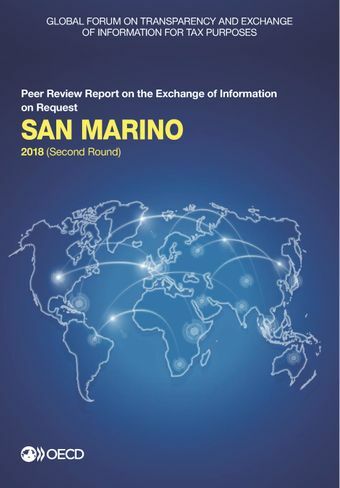 This report contains the 2018 Peer Review Report on the Exchange of Information on Request of San Marino. San Marino improved its overall rating from Largely Compliant to Compliant with the EOIR standard. San Marino has demonstrated that it had adequate organisational design and resources to handle a substantial number of requests to the satisfaction of peers over the period 1 January 2014 to 31 December 2016. Its legal framework and practice is in line with the international standard in respect of ensuring availability of ownership, accounting and banking information and access to it, as well as exchange with partners. San Marino is recommended to ensure that the new obligations to maintain beneficial ownership information on all the entities and legal arrangements are well monitored in practice, including the supervision of notaries and trustees. Read the press release.